Alfa Romeo Formula 1 driver Antonio Giovinazzi says he is “lucky” to have 2007 world champion and ex-Ferrari driver Kimi Raikkonen as his team-mate. Giovinazzi has been given his full-time F1 break this season after working as a development driver for Ferrari since 2017, when he made his F1 race debut as a two-race substitute for Sauber’s Pascal Wehrlein. 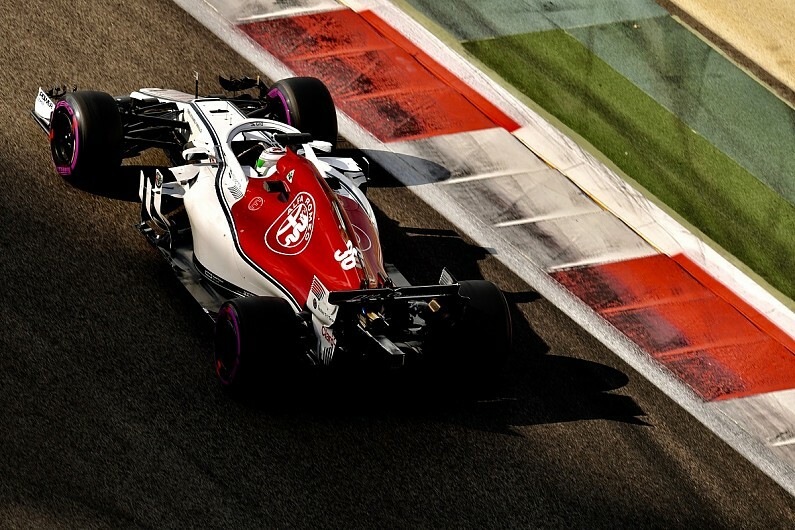 Alfa has now taken over the title of Sauber’s F1 entry, which finished eighth in the constructors’ championship in 2019 and ended the year as a regular top-10 threat. Speaking to Autosport about his goals for 2019, Giovinazzi said: “There is still no data on the potential of the new car, but beyond that in my case it will be important to confirm a growth race after race. Having worked alongside Raikkonen at Ferrari, Giovinazzi joked that he and the Finn had talked “more in these last months than in the previous two years in Ferrari!”. However, the 2016 GP2 runner-up reiterated: “It’s nice and transparent. Landing the Ferrari simulator role in 2017 was crucial for Giovinazzi, whose career up to that point had been supported financially by Ricardo Gelael – the father of current Formula 2 driver Sean. The Ferrari move meant Giovinazzi was the prime candidate to take advantage of Sauber’s partnership with Alfa, Ferrari’s sister company, increasing this year. “At the beginning it is a very pleasant experience, because you work with great professionals and with great drivers, in my case Vettel and Kimi,” said Giovinazzi of his simulator work with Ferrari. “Over time it can become a routine activity, but for my part I have always seen it as a chance. Giovinazzi’s 2018 Le Mans 24 Hours outing with the Ferrari GTE team is the only time he has raced since the second of his two stand-in F1 appearances in the 2017 Chinese Grand Prix. “I knew very well that the chances of being in Formula 1 were very few, and for the first time I felt I had missed the opportunity,” he said. “I was not happy with myself, I could have shown much more. “For two years I have tried to repay those who have continued to trust me by working to the best of my ability. “I was on the ‘bench’, getting better and better, and I’m happy today to see that the job has paid off.